My father died just before his 95th birthday, on December 1, 2014 in Vancouver BC Canada. When my husband and I initiated our September 2015 travel plans to Europe, ultimately Italy, we planned to spend time in my father’s hometown Civitaquana, Abruzzo and surrounding area. My hope was to see where my dad was born, walk the roads he walked, meet family members that hadn’t emigrated to Canada as my father had, and to ‘experience’ a fragment of what may have been his life. Not being fluent in the Italian language presented me with a challenge – how do I contact family? who is still alive? how do I let them know we’re coming? will they be interested in meeting me? is my dad’s birthhome still standing? he emigrated in 1937 and by the 1950’s, his immediate family, except for one sister Giovannina, all lived in Canada. 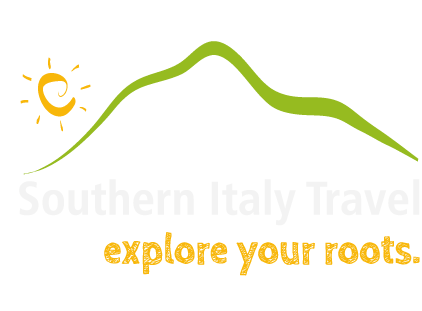 After some searching, I was referred to Mirella Ammirati and Southern Italy Travel. And the correspondence began! Mirella was prompt with her responses to the many questions I had…kind and understanding when I explained what we hoped to achieve with a visit to my father’s homeland. 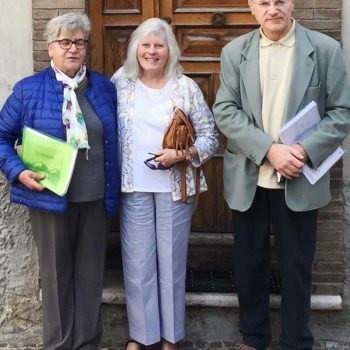 She gave me an outline of the services she provided regarding geneaology searches, locating and contacting family in Italy, suggestions on how to proceed, proposed itinerary – all this in such a fashion, I felt like she was part of my family joining me in this fabulous adventure. She has such a passion for her Abruzzo and envelops you with that love. What impressed me was her facility for putting the pieces of this puzzle together, and opening the doors for me to have an outstanding life experience. We had planned several trips to Italy in the past, but as my father lived with us, those trips were cancelled due to his intermittent health issues. So now was the time. And Mirella was my counsellor and advisor. With such grace and class, she made it happen. Mirella did a genealogy search and had a package of documents prepared for me. She had made arrangements with some of my cousins to meet on that autumn day in the town square – and then an appointment with the Mayor of Civitquana, Mr. Ciarfella – we perused century plus old birth and death records and learned facts about my grandfather’s family that I had never known! She chauffered us through the countryside, visited the two houses that my father and family had resided in all those years ago – finally I stood on the soil my father tilled when he was a child and young man. My heart was full. My cousins had prepared a lunch – let’s call it a FEAST – to which they kindly invited Mirella. She acted as translator, interpreter – oh what fun we had – me and my fractured Italian, and my cousins with little knowledge of English. That didn’t stop us from story telling, laughing, revelling in the experience, and truly feeling like ‘family’. And Mirella was an integral part of it all. She was welcoming AND welcomed. 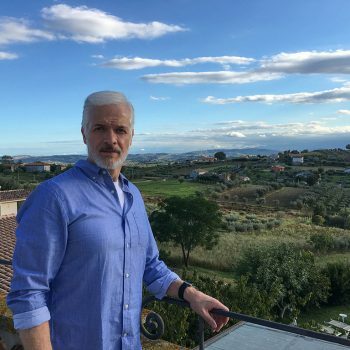 Everyone, whether you have family in Abruzzo, or you want to learn more about and enjoy the heart and soul of the region, consider Southern Italy Travel as your assistant in the process. Mirella Ammirati, much like the area she loves, is a jewel! Many thank you’s to this knowledgeable and caring woman. Ti Amo!